So...I moved my hosting to a new company. No big, right? Except, I had an SSL certificate that implemented HSTS (HTTP Strict Transport Security) on my old server. When I tried to visit the moved content on the new server, all of a sudden, I was getting error messages on every page load and only Opera would actually allow me to connect. Close all tabs open with the site. 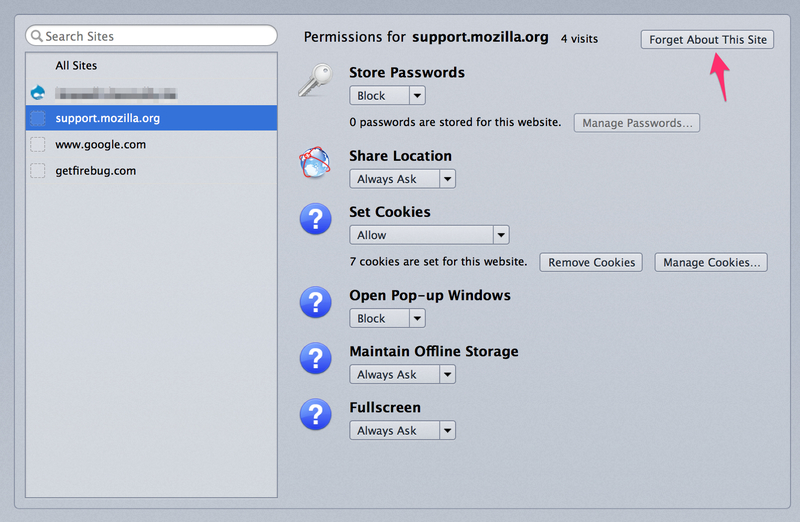 In the address bar, type "about:permissions". Search for and click on the site. Click "Forget About This Site". Chrome, Opera: Cannot connect to the real <domain name>. In the address bar, type "chrome://net-internals/#hsts". Type the domain name in the text field below "Delete domain". Type the domain name in the text field below "Query domain". Your response should be "Not found". 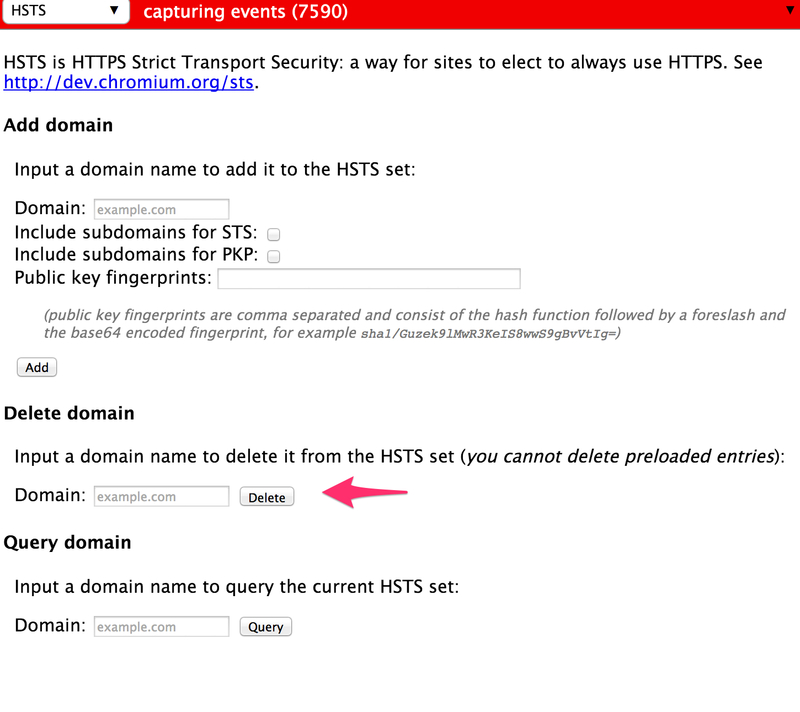 Safari: Clear the HSTS cache.